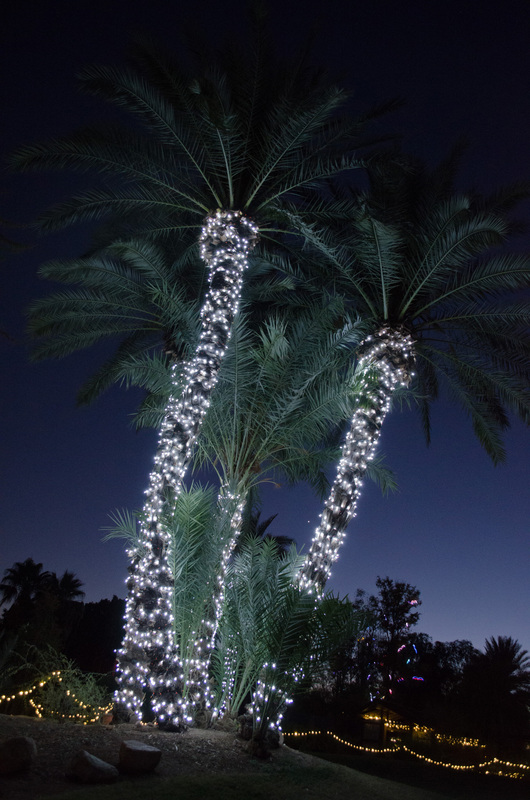 Have you been to the Phoenix Zoo recently? If not, this is the time of year to go! For one, the weather is beautiful, and secondly, it’s ZooLights time! I’ve been going for years, but now that I also have a two-year old daughter I’ll be going for sure! 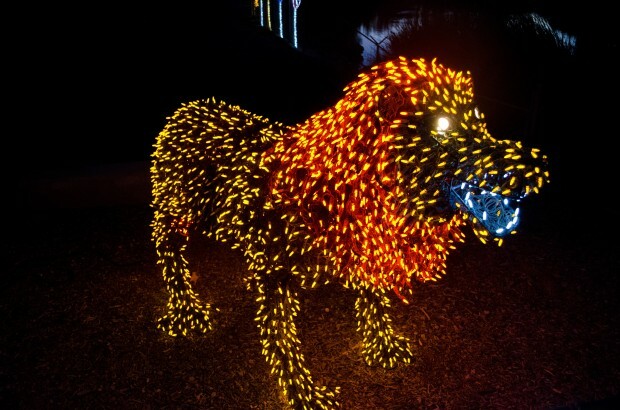 ZooLights was practically made for kids and families. Every time I go it’s an endless stream of kids and their doting parents. But, that’s what makes it so awesome! Getting to see the glimmer in a child’s eye when they see the massive amount of lights on display is priceless. 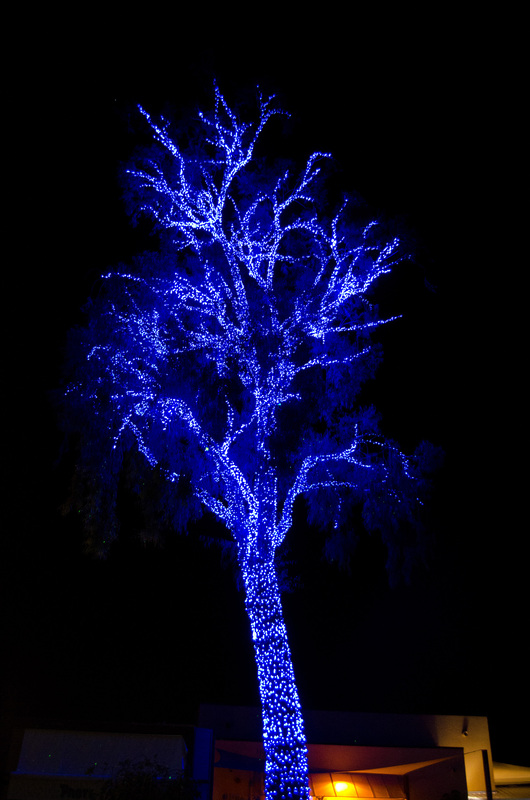 ZooLights is one of the best ideas for a zoo I’ve ever seen. What a fantastic idea to get people out of their homes and walking around the zoo. 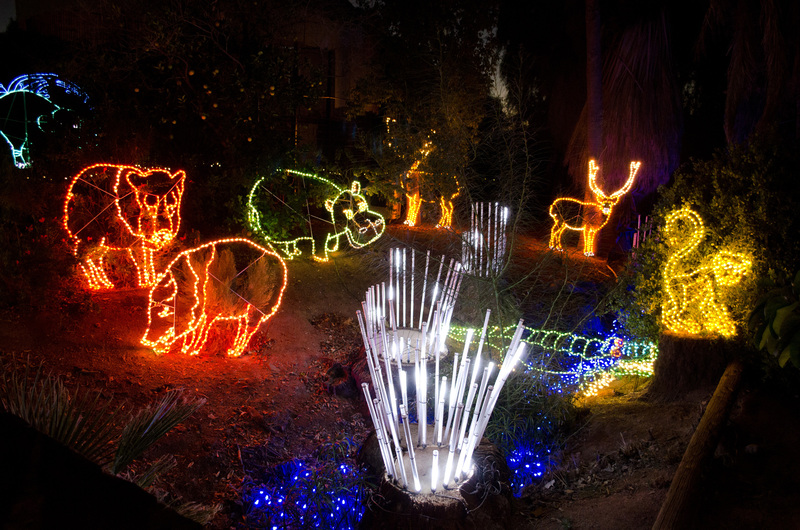 ZooLights runs from November 28th, 2013 through January 12th, 2014. The hours are 6 – 10 p.m. on Sunday – Thursday and 6 p.m. – 12 a.m. on Friday & Saturday. Ticket prices for ZooLights are between $9 and $14 (depending on night, and whether you are a member or not). Kids two and under are free! You can receive a discounted entry ticket at Fry’s grocery stores.